Ant & Dec and Holly Willoughby have won the Telly Spy Awards for best male entertainer and best female entertainer in 2012. It’s hardly surprising because of their individual popularity and because of the fantastic shows they host. “This Morning,” hosted by Holly, won the Most Popular Daytime Show award as well. Find out who else won in this article from Telly Spy Awards! The results of the public-voted ‘Telly Spy Awards 2013′ have been announced. 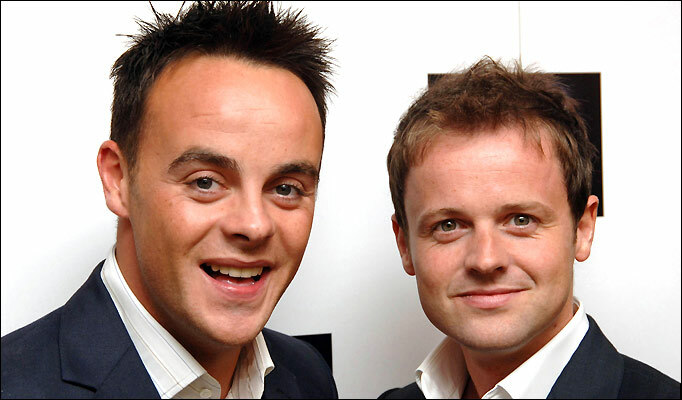 Ant & Dec took home the most awards, picking them up for ‘Most Popular Male Entertainment Presenter’ and the prestigious ‘Special Recognition Award’ as well as for their contributions in the ‘Best Reality and Talent Shows’, I’m a Celebrity…Get Me Out of Here and Britain’s Got Talent respectively. Doctor Who stars Karen Gillan and Arthur Darvill bagged ‘Best Actor and Actress’. However, the sci-fi drama itself missed out on the top spot as ‘Best Drama’ was awarded to Waterloo Road. Coronation Street were awarded two titles, ‘Best Soap’ and ‘Best Soap Family’ for the Barlows. Emmerdale Live was regarded as ‘Best Individual Soap Episode’ and its spin-off documentary ‘Emmerdale at 40′ was the ‘Most Popular Documentary’. Jo Joyner achieved ‘Best Soap Performance’ for her role as Tanya Cross in EastEnders. ‘Most Popular Chat Show’ was handed to Alan Carr: Chatty Man whilst ITV’s most popular 5pm show since Paul O’Grady, ‘The Chase’ was given ‘Most Popular Gameshow’. Channel 4′s Come Dine With Me is the ‘Most Popular Factual Entertainment Show’ according to the Telly Spy readers. Holly Willoughby won the award for ‘Most Popular Female Entertainment Presenter’ and her-fronted show This Morning gained the accolade of ‘Most Popular Daytime Show’. Ant & Dec and Holly Willoughby are ecstatic about their wins at the Telly Spy Awards. What do you think about them winning? How about the rest of the awards? Who would you have liked to see win but did not? Share your thoughts with us below.